A long waited JINMO's new "psycho acoustic ambient" album such as his famous albums "Ascension Spectacle", Jubilus" series, "Schumann Romance" and "The Brain Tuner"...here comes another door of perception "ZENith Air". JINMO says the word in the title "ZENith" means "spiritual zenith". And "Air" is the one of the elemental 4, Air, Earth, Fire and Water, it means that this new "psycho acoustic ambient" album is the first one of forthcoming tetralogy. Following description is JINMO's words for the tetralogy "ZENith". More, I want to perceive universe more. The eardrum vibrates and the auditory cells convert it into a weak electrical current, then the brain perceives it as sound. It is "normal stream" of an auditory system. However, I realize that there is "another stream" in addition to "normal stream". Not only auditory cells, visual cells or sensory cells, not a metaphor, I'm literally thinking that every cell has some kind of sensibility. Not only the cell itself, but also the mitochondria in the cell, it perceives outside of its own and conduct itself. I feel that we are not individual, we are aggregation as a cluster of sensory organs. 714-X somatid, how do somatids perceive the world? "Beauty" is not only visible (art works), nor audible (music) . "Beauty" is shining on all of the five senses. Every sense is not isolated from other senses, it influences each other and it keeps uninterrupted input while generates new "Beauty" just like alteration within the alchemist's mortar. The world is full of beauty, thus I do not believe the finiteness of human perception. Abundant "Beauty", it exists below the threshold of conscious perception. Nucleus of "beauty", if anything, it doesn't float on the apparent surface. More, I want to perceive the universe more. The key to the door of the perception is there. 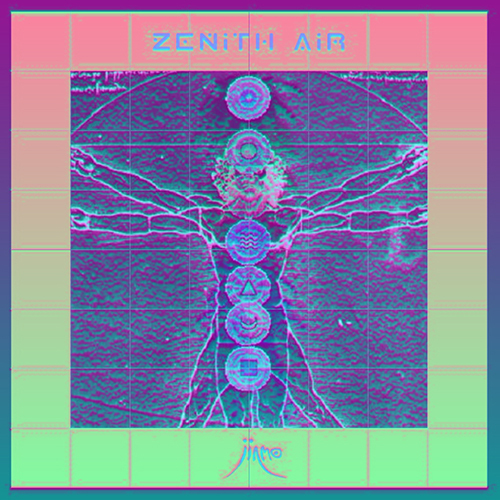 This album "ZENith Air" would be the must listen album for all JINMO manias.